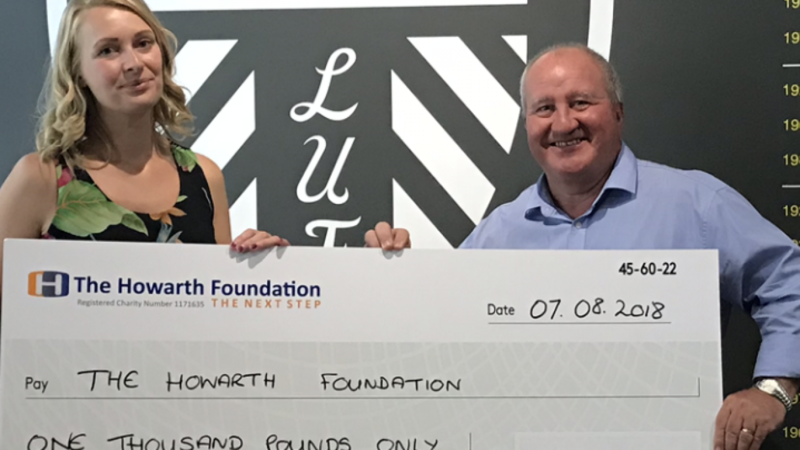 Leeds United Foundation participants raise money for local charity. Youngsters from the Leeds United Foundation have raised £1,000 for a local charity that works with homeless people throughout the city.The participants are part of the National Citizen Service (NCS), a national programme delivered by the club’s official charity to develop communication, organisation and team-building skills in 15 to 17-year-olds.Together they have been working on projects to positively impact the local community including organising a sponsored sleepout and various other activities to raise awareness around the issues of homelessness throughout Leeds.After raising the money the young people decided to donate the funds to the Howarth Foundation, a charity that works with homeless people in the city to prevent poverty in respect of individuals who are, or who have recently been homeless by actively sourcing employers willing to offer employment and by providing those individuals with support and guidance. Alan Scorfield, CEO of the Leeds United Foundation, added: “Our NCS groups are getting involved in all sorts of community action projects while taking part in a very exciting programme of events. “That combination of personal development and making a difference in their own community is an experience that will stay with them for life and show that the efforts of a few can positively impact the lives of many people.